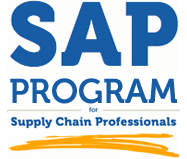 We offer SAP Supply Chain end-user program with work experience that will cover the business processes of Purchase to Pay cycle (P2P) and Order to Cash cycle (O2C). You will learn to use SAP for purchasing functions, logistic functions including the shipping/receiving of goods, sales order completion, invoice verification. Individuals with experience and knowledge in Supply Chain who are interested in roles such as Inventory Analyst, Shipping and Receiving Coordinator, Inventory Clerk, Purchasing Professional or Sales Support Associate. Also includes counselling in employment preparation and career positioning. *Note: Programs with fewer than 10 students will be rescheduled. Successfully complete our interview and written test relating to Supply Chain. *Note: Submission of résumé will be required for assessment of eligibility.